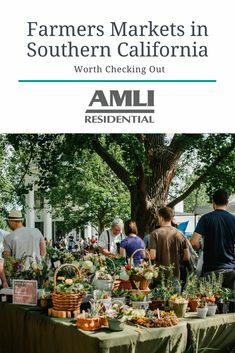 As time goes on, AMLI is making greater strides in building apartment communities with more of an emphasis on sustainability. And not only as it pertains to the environment, but also the health and wellness of the residents living in our communities. Last year, AMLI partnered with architecture firm Skidmore, Owings and Merrill (SOM) and Multifamily Executive to work on a concept community that would reimagine AMLI 900, our first foray into the green building sphere more than a decade ago. We branded the concept community as AMLI 900+, researched various new green and wellness technologies and implemented them in a plan that examined the impact of factors as small as the amount of sunlight entering each unit to all-encompassing aspects like rebuilding the entire structure using a wood frame. Here are a few core takeaways from the AMLI 900+ project. For a complete overview, see our top 10 takeaways from this partnership. One of the most important considerations to make when designing an apartment community is creating spaces that maximize comfort and encourage healthy choices. The easiest way to complete these objectives is to keep your spaces fluid, able to be repurposed as the times dictate and culture changes. That’s why we pushed for modular construction, allowing for lower initial construction costs as well as lower costs once changes made themselves necessary. Flexible partitions were another simple design feature we added that would make a big impact relative to its cost. The little things add up. The changes we strove to make were incremental in scale, but we hoped that, taken together, would generate a broader reality of improved health for residents. We recast spaces with designs that would encourage residents to take the stairs rather than rely on elevators, and traded square footage in individual apartments in favor of larger, more centralized community spaces for all to use and enjoy. This was done on the idea that more publicly shared space should foster more interaction between residents. And more interaction should help build more community with a foundation of stable, lasting relationships. The reduced square footage in apartments also allowed more natural light to filter in and gave the opportunity to create covered balconies for each unit. More on that below. These glass-enclosed balconies were perhaps the most popular part of the plan. Because these personal solariums trapped heat, they created green space by allowing plants to grow year-round and reduced winter heating bills, in addition to letting more light in and allowing for better ventilation into each unit. The loss of square footage was a small concession for greater gains. AMLI strives to create healthier lifestyles for all, across arbitrary generational divides. According to our annual sustainable living index, millennials and baby boomers alike show increased interest in green living and sustainability issues. By placing emphasis on our communities as a whole, we can work towards the overall wellness of each and every individual resident that calls AMLI their home. It’s no surprise these building and redesign goals will take time, patience and willpower to complete. But AMLI’s goal of finding real-life solutions to further advance our sustainable mission comes with a price tag we’re willing to pay. With each new development, we better understand the hurdles this entails and the rewards to be earned. This year’s MFE concept community was just another step in the process to help us envision what’s ahead, and forge the correct path to get there. 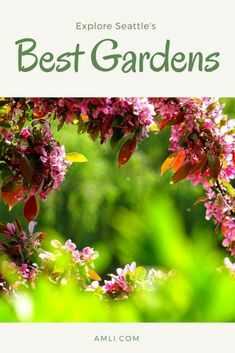 Interested in more blogs like this? Stay up to date with the AMLI Blog!